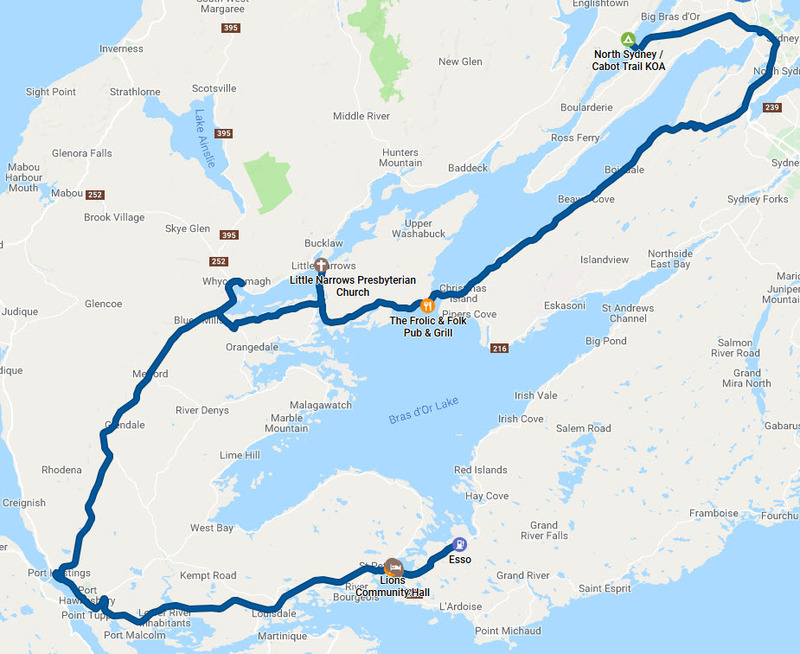 The main objective of this trip is to make our way to Cape Breton for the 2018 version of the Celtic Colours International Festival in October. We have tickets to concerts on most days and there are always additional events to enjoy. It is usually a pretty time of year to be in Cape Breton. This will be our 3rd year running (though it took us 20 years to get there. Mind you, it is never our way to be simple about things. 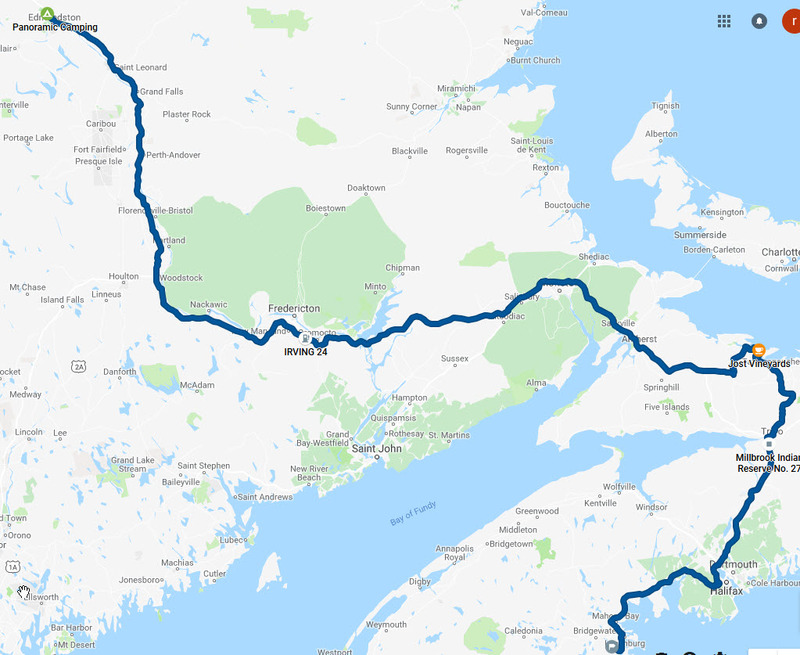 We have already spent most of a month in eastern Canada so we are backtracking to Ontario for a bit before we head east. Our initial plans are to mostly hang about eastern Ontario but it seems there may be some cause to stretch to the Toronto area for a day or so. Once we head east we are not yet sure of the path and where, besides Cape Breton, we may visit. It seems there may be cause to visit the NS South Shore but we will see. The only thing we know for now is that we have pack of tickets to Celtic Colours that we plan to enjoy. We pulled out of the driveway about 10:15 after having stuffed more than 100 empty wine bottles into the Roadtrek. They have been accumulating for a bit so we decided to start by cashing them in. While it probably would have been simplest to drop them off at the The Beer Store in Cornwall or Brockville since our destination for the day was 1000 Islands / Ivy Lea KOA, the thing is that some research had showed that the new new LCBO in Hawksbury had some 2016 Château des Charmes Aligoté in stock and our stock was wiped out again with the help of some friends and family so we decided to reroute and do our wine exchange in Hawksbury. So that is what we did. We dumped off the bottles at The Beer Store then headed to the LCBO to get the Aligoté. We also picked up a couple of bottles of Sandbanks Baco Noir Reserve which was $2 off. By this time it was noonish and we had not even stopped for a bite of breakfast to we headed off to Goodies Restaurant to solve the problem. Lillian had a BLT and I had a western sandwich that were both homemade outstanding as usual. Our next task was to find some propane for the Roadtrek. At the end of our last trip the inside guage was showing 1/3 though we know it to be inaccurate (reads low). There is a better guage on the tank but you pretty much have to crawl under the van to read it. Still, Lillian gets nervous when we get the 1/3 reading so a fill was in order. We decided to try the Canadian Tire Gas+ in Cornwall so we made our way there. It turns out that they had propane but were not equiped to fill onboard tanks. They DID refer us to P38 Energy which was on our way back to the 401. We did get a fill there and, as usual, the tank was far from empty. Well, better safe than sorry as they say. We then set sail for 1000 Islands / Ivy Lea KOA. arriving about 4:30 PM after losing about 1/2 hour in construction traffic east of Brockville. We had a nice dinner from the galley and spent a quiet evening. It rained most of the night and was still raining as we crawled out for the day. We therefore started the day with a fine cup of "Dead Man Walking" coffee "sweetened" with some fine dark rum. We chased that with a fine breakfast. None of this improved the weather but it helped our outlook. We had considered finally trying a 1000 Island cruise but scratched that idea at the suggestion of Mother Nature. 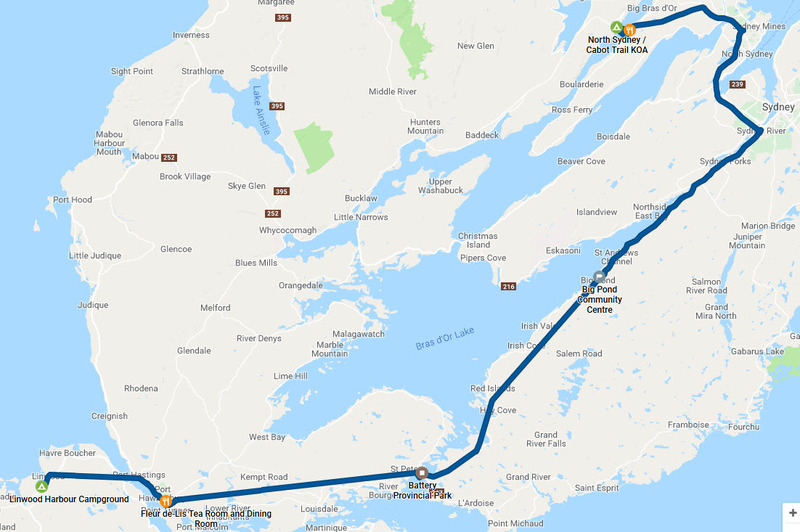 Instead we pulled out from the camp site about 10:30, stopped by the office to book another night then headed toward Gananoque along the 1000 Island Parkway. On the edge of town I dropped Lillian off at the Shorelines Casino to try her luck for an hour or two. While she did that I went shopping for food, fuel and a few other items in town. I got back to pick her up around 12:30 or so. After a tour down to the waterfront we decided to lunch at The Old English Pub on King Street. After a decent lunch we poked around town a bit before wandering down to Kingston. Lillian wanted to check out Leisure Days RV Centre to see if they had some parts we had been hunting. We did find some "clips" that are used on some of our curtains to connect them to the guide tracks. Other than that, not much else. About 4 PM we headed back to camp to relax and have a light dinner. We also heard that we have cause to head over near Toronto for an event tomorrow evening. I finished yesterday's entry by mentioning that "we have cause to head over near Toronto for an event tomorrow evening" being somewhat cagey not knowing who was reading this travelogue. The "cause" was our neice's 30th birthday. It seems that a dinner was planned for this evening at 7Numbers Restaurants on Eglinton and we needed to be there for 6:30 PM. We really wanted to be there for this special birthday - even more because she and her hubby made it to my birthday in Niagara Falls. We decided to move camp to Toronto North / Cookstown KOA. From that point we could motor in to the restaurant for the event them scoot back out of town to the north. We could also get to the campground by scooting up under Lake Simecoe and avoiding crossing Toronto. We were on the road by 9:30 and arrived in Cookstown around 2 PM. We relaxed for a bit then Lillian went for a shower. When she got back she insisted I take one too. I grumbled a bit but once there I understood - probably one of the best camp showers ever in terms of an ample flow of good, hot water - a real treat. We set course for town about 4:45 and included a gas stop. We arrived just on time and met Lillian's brother and sister-in-law in the parking lot. We proceeded to get our seats and await the arrival of the guest of honour. Judging by her reaction she was truly surprised to see us there (in spite of having walked by a bit, white Roadtrek in the parking lot). We had a wonderful dinner with suitable toasts to the guest of honour and one to our house back on the Montreal West Island which we moved into on the day of her birth 30 years ago. We had an uneventful drive back to camp and we delighted to hit the sack. Today was largely the reverse of yesterday without the party. We took time for a nice breakfast before getting on the road at a leisurely 10:30. 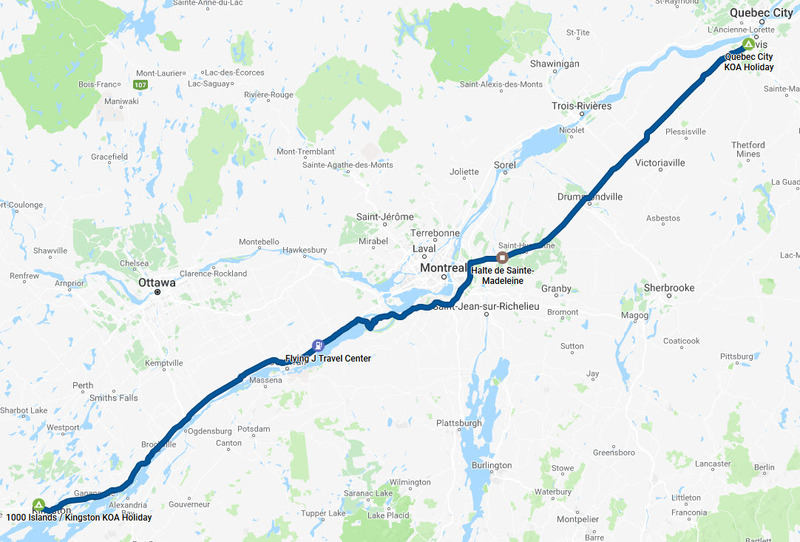 We started basically by reversing the route below Lake Simcoe except that when we picked up the TransCanada (route 7) near Peterborough we continued right along to route 62 then headed south to Belleville to pick up the 401. Our target for the evening was 1000 Islands / Kingston KOA. We wanted to try it for future reference. On the way we made our usual sidetrack along route 49 to Tyendinaga Mohawk Territory for some economical fuel (1.109/L today). We made camp about 4:15 then enjoyed a relaxing evening. Not an exciting day but pleasant driving and weather. 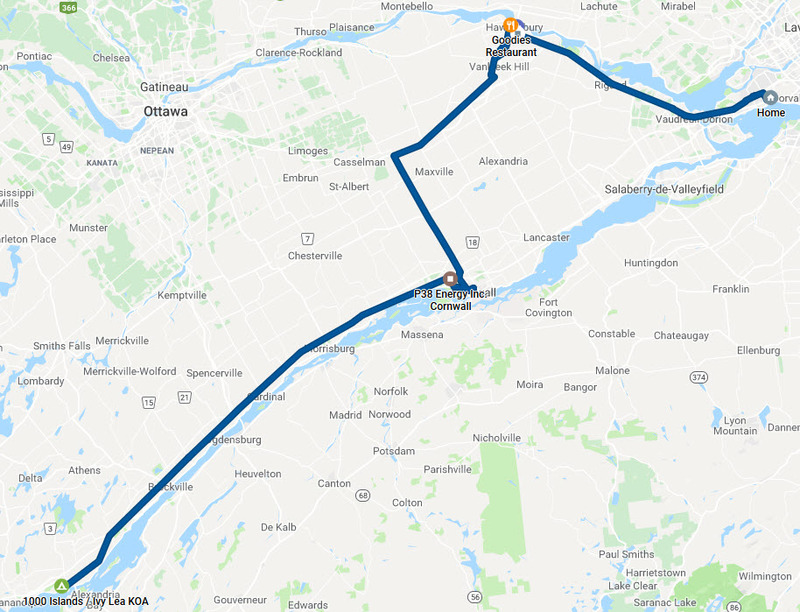 We set out about 9:30 before dumping the "ugly tanks" and basically coasted our way along the 401 to Quebec with a quick pause at Lancaster to top up with ON gas. 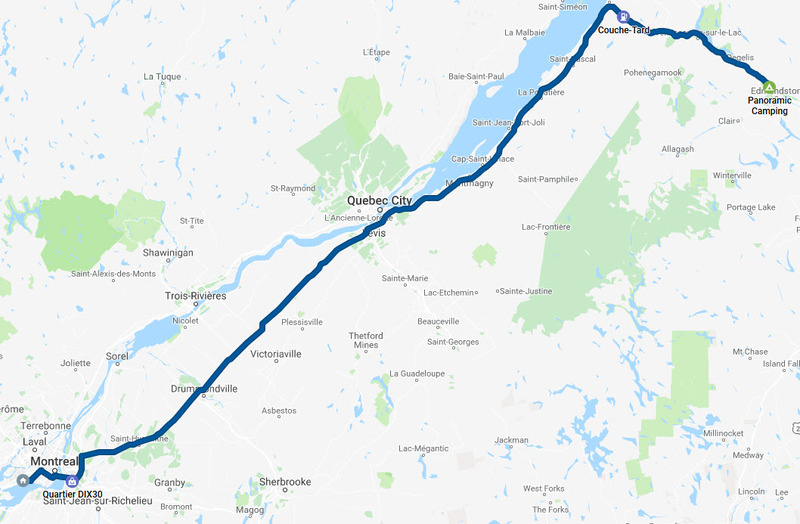 Once in Quebec we cut off toward Valleyfield to pick up 530 to 30 then onwards to 20 near St Bruno thus bypassing all the construction joy on Montreal Island. We arrived at Quebec City KOA about 3:50 PM. We relaxed for a bit and "the boys" enjoyed a good site survey walk. We had a nice visit from a couple from the Brockville area who happened by. Today was another travel day. We woke to light rain. It had also rained quite a bit overnight but it was slowing. We had some breakfast while it rained a bit but were able to pack up and get on our way between showers. We left about 9:15 and just followed the 20 until it was time to turn toward Edmonston. We picked up a lunch snack in Edmonston then continued on to Great Bear Camping a bit short of Fredericton. We enjoyed staying here back in June. We arrived about 4:15 PM ADT having lost an hour to the time zone shift. We relaxed and enjoyed a nice late afternoon and evening. We were lucky to get in since they were shutting down the water tomorrow. This was their last weekend of the season. We are now ready to slow the pace a bit but we do need to move on since they are closing this camp. We decided to grab a bite on the road so we packed up and set out about 9:15. We set course for Kings Landing to at least take a peek. The visitor center was nice and the folks friendly but there seemed to be no breakfast available so, after collecting a bit of information about the attraction we drove over the hill to The Acorn Restaurant at Mads Truck Stop where we were able to get a decent breakfast in the truck stop tradition at a decent price. We discussed the Kings Landing attraction as we ate and decided to save it for another trip side since we have already explored sufficient like it recently and it was a bit of a cool, damp morning. Also, sitting looking at the posted gas prices, we decided to check Gas Buddy to see what else was available in the area. We noticed a Costco on our way that would save more than $0.10 per liter so that was our next stop. We needed to resuply the galley and bar a bit and we also wanted to relax and groom the dog. Remembering our June experience we decided to head to Fundy National Park Headquarters Campground with a stop in Sussex to visit Sobeys in the Gateway Mall which conveniently had an adjacent Alcool NB Liquor (ANBL) store. Lillian handled the liquids and Rod the rest. We got to Fundy National Park about 2:30 PM. We dropped in to the visitor center first so Lillian could visit the gift shop. We then went and checked in to the campsite and took our usual spot. Rod spent the remainder of the afternoon grooming Weston who really needed it after a damp week on the road. We then disconnect the van and headed in to Alma for a nice dinner at: Tides Restaurant at The Parkland Village Inn which we also remembered from our June visit. We did not have any hummingbirds to entertain us this time but we still had a fine seafood fix - first this trip! After dinner we headed back to camp where we met and visited with a couple from Germany who were winding up a 3 week wander in a class B much like ours that they rented from Halifax. They were visiting most of New England north of Boston. A new week and a new month. Time flies. 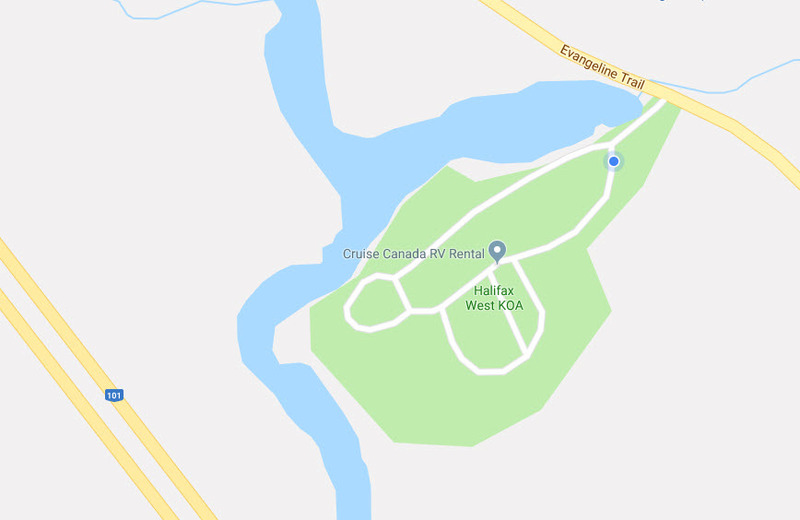 Today we decided to move camp to the Halifax West KOA in Upper Sackville, NS. We are expecting some poor weather toward the middle of the week so we may as well be somewhere handy to opportunities for indoor activity. It is located very centrally in the province and we like the place. Nice folks and nice sites. We arose slowly, had a nice breakfast and finally pulled out at 11:00, spot on checkout time. 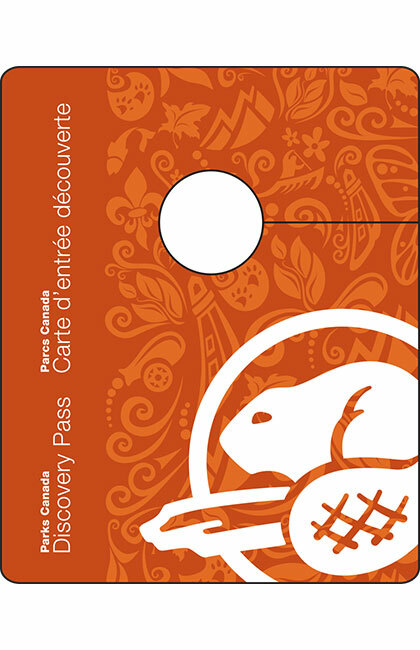 We made a stop at the welcome center to renew our Parks Canada Discovery Pass as we promised the ladies yesterday. Only one year this time (last pass was 2 years to allow for the free entry for Canada 150 in 2017). Actually it will be good for 13 months since it expires at the end of next October. From there we made our way to Sackville, NB where we stopped for a stretch and to let Lillian check out a giftshop. We also made a bank stop for some $$. We then popped over the border into Nova Scotia and stopped briefly at the welcome center to grab some information including a hardcopy Celtic Colours program book and map. We also made a couple of sandwiches to munch on the road. After that we headed as directly as possible to Upper Sackville (NS this time) with only a brief stop to refuel. We checked in about 4:30 PM booking our favourite site for two days with a reserve on a third. We also picked up some firewood since it looked to be a nice night for a fire and we also had a couple of smoked pork chops in the fridge which cook up really nicely on an open fire. After a nice dinner we relaxed, enjoyed the fire for a bit then headed inside as the temperature dropped. We are expecting single digits °C tonight. We have our electric heater and the gas furnace so we should be nice and warm. We started the day with a pancake breakfast server out of our little galley. It was pretty cold out and overcast but otherwise not a bad morning. The rain and such was not due until mid-afternoon so we decided to go poke around the Wolfville area. We headed off about 10:30, paused to dump the "ugly tanks" so we would not have to do it in the rain, then set course for Just Us! Coffee & Tea House near Grand Pré. We figured it would be a good starting point since it was at the cusp of the Winery district and we needed some extra coffee. We got there about 11:25 and set about our business. While there Lillian noticed what appeared to be a knitting group meeting in one corner of the sitting area. She used the opportunity to find out about wool shops in the area. Thus, out next stop was The Wool 'n Tart on Main Street in Wolfville. followed by The Gaspereau Valley Fibres Farm Wool Shop a related concern a bit out of town. The latter was quite and interesting shop. Lillian came out with some knitting stuff and Rod with a dozen farm fresh eggs. While we were there we stopped at Gaspereau Vineyards where we picked up a bottle of their "Tidal Bay" and a couple of their "Lucie Kuhlmann". From there we headed to Mercator Vineyards a related Welcome to Devonian Coast Winery which we had never visited though we had tasted some of their product at Gaspereau or Jost. On our way over we were wondering what to do for lunch as time was creeping on. It turns out they had a nice local deli plate which was perfect for the need. The alternate was a ham wrap from our galley. After enjoying a pleasant lunch while chatting with the ladies who worked there we departed with a couple of bottles of "Mercator En Cave Cinq Ans 2012" and a new corkscrew. 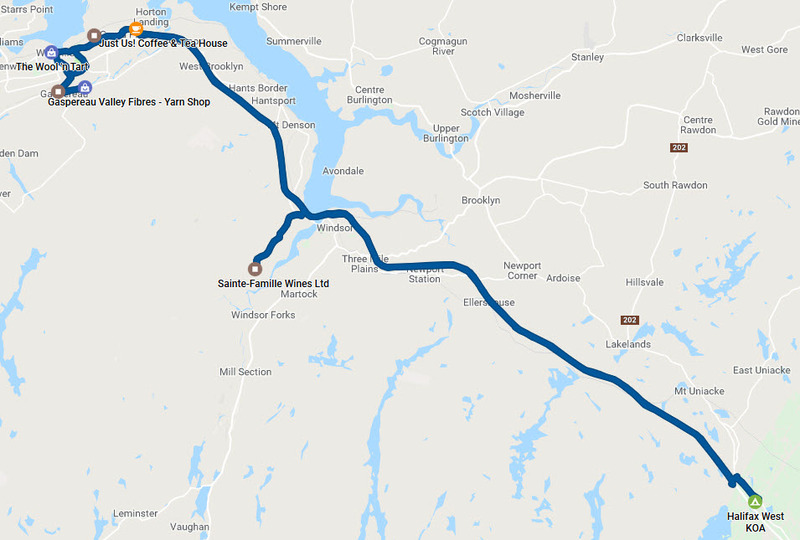 It was time to head back so we planned one last stop at Sainte-Famille Wines in Falmouth which was on our way back to Upper Sackville. We had a nice visit with the grand-daughter of the founder and tasted a variety of their wines. We took one white, a "2017 Wild Seyval" which is not listed on their web site. The "wild" indicates it was fermented by naturally occuring yeasts. While none of their other wines suited our tastes, this one at least merited further evaluation. We got back to Halifax West KOA about 4:10 PM. By this time it was raining lightly but pretty steadily. We took some Matane Shrimp we had purchased at Poissonnerie Matanaise back in June out of the freezer and turned them into a nice pasta sauce which became our dinner. We spent the rest of the evening staying dry. Today was pretty much as forecast - rain! No real storms or anything, just steady rain from a scuddy stratus layer. We chose the day to relax, do some stuff around the RV etc. I have managed to take an initial pass at the pictures to date and upload them so you can see some of the stuff I have been talking about. We have been eating well out of the galley all day and opened the bar an hour early. We are thinking of moving on to Cape Breton tomorrow but we are not sure where yet. 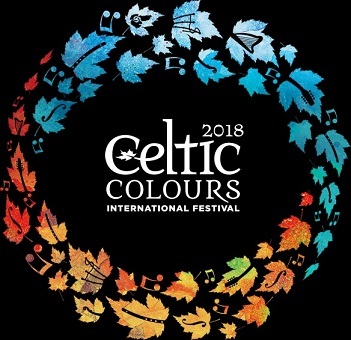 Almost time for the Celtic Colours International Festival so we will move up to Cape Breton. 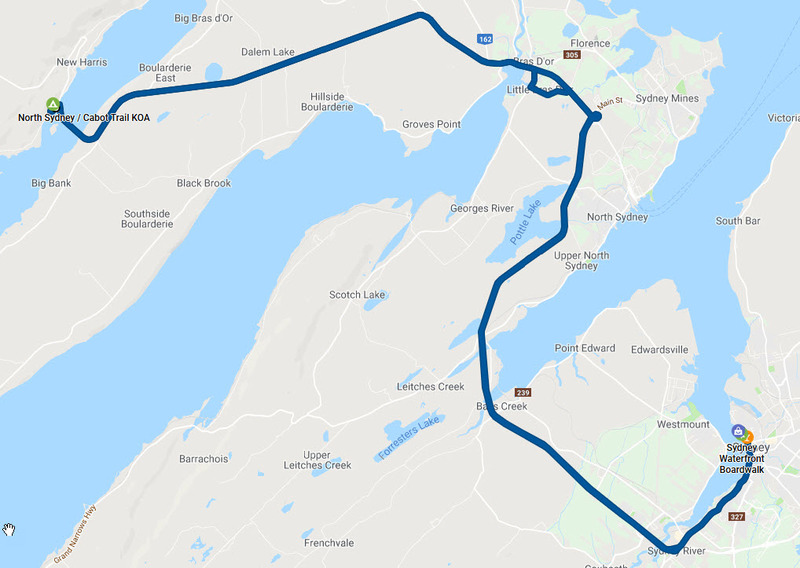 We set off about 9:50 AM and made our way up over the Canso Causeway by 12:35. We stopped at the Welcome Centre for about 20 minutes before moving into Port Hawksbury to hit the Sobeys to resupply the larder. Next we headed to Baddeck to Baadeck Yarns where Lillian disappeared for about 45 minutes. We then made our way up to North Sydney / Cabot Trail KOA for 4:20 PM. We caught up the news from Bonnie and booked our usual site for the night. Lillian made beeline for the showers. About 5:30 we set out for the Black Spoon Bistro in North Sydney for an anniversary dinner. This is one of a short list of restaurants that we try to visit whenever we are close. They are special in almost every dimension (except, perhaps, their wine list). They certainly rose to the occasion and we had a marvellous dinner. We got back to camp a little after 8 PM and just relaxed once we got set up for the night. The concert today is Fiddles on Fire with performers Natalie MacMaster, Blazin' Fiddles, Mairi MacInnes, Rona Lightfoot, Paul MacDonald and Allan MacDonald. Since this is at Port Hawkesbury Civic Centre we decided to move camp to Linwood Harbour Campground since it is much closer to the concert venue meaning a shorter drive in the moosey dark after the concert. Lillian did some laundry, Rod reloaded the fresh water tank with good Kelly's Mountain Spring Water and we had some breakfast before pulling out just at deadline of 11:00 AM. We paused for a chat with Jason and Bonnie who run the place catching up on some of the news. Told them we would be back tomorrow. Next we headed to Baddeck to Baadeck Yarns where Lillian made a brief revisit to check out the Celtic Colours special yarn that they could not reveal yesterday. We then moved on to Linwood Harbour Campground where we checked in, had a chat, then set up enough to make some lunch and relax until it was time to head back into town. About 4:30 PM we made out way back over the causeway and up to Port Hawksbury. We stopped first at Canadian Tire to pick up a replacement cable for our "in-house music" as the old one was having some annoying intermittent issues. We then picked up some chicken to munch while we waited for show time and moved over to the Civic Centre to do just that. We headed into the show early enough to have a quick drink while we poked around this year's collection of logowear and other "merch". Other than a few too many speaches, the show was excellent. Natalie and her team put on an especially good performance. It even included a couple of "Little Leahys" (she and Donnell Leahy have been married 16 years and have a brood of 7 - the most recent 5 months ago). The girls were more than cute. Both are good fiddlers and step dancers. All in all a good show. After the show we headed back to camp and wound down for the day. The concert today is Big Pond Gathering with performers Cyril MacPhee, Miller|MacDonald|Cormier, Teho & Maureen Fraser. Since this is at Big Pond Community Centre / Fire Hall and tomorrow will be in Sydney we decided to move camp back to North Sydney / Cabot Trail KOA. We woke to a chilly morning and made a slow start. We decided to take Lillian for a nice birthday breakfast so we packed up and headed back to Port Hawksbury about 9:30 and stopped at the Fleur de-Lis Tea Room and Dining Room for a really nice, down-east breakfast. After that we started our way up the east side of the Bras d'Or Lake heading for Big Pond. Along the way we stopped at The Village of St. Peter’s where we noted the venue for our concert on the 10th then took a walk along St. Peters Canal National Historic Site. We then wandered in to Battery Provincial Park to take a look at the Jerome Point Lighthouse and also visit the park office to check out camp site availability for the 10th. It seems there are a couple of serviced sites left. Unfortunately they were not able to book one. Bookings are handled centrally by phone or online. They let us in to peek around the sites and we have subsequently booked one. Time to get on the road to Big Pond again. We finally got there in time to walk the dog and make a light lunch before heading in to the concert. The concert itself was excellent. Miller|MacDonald|Cormier took the first half with some step dancing by Maureen Fraser. A really super set with a good variety of styles. Cyril started the second half with a good selection of "tunes worth singing to" and his usual Cape Breton humour. He did an amazing interpretation of Stan Rogers' Northwest Passage which we thoroughly enjoyed. Teho is a Finnish power-fiddle duo who were quite amazing. There was the usual grand finale and we were off. After the concert we set off around the top of the lake back to North Sydney / Cabot Trail KOA where Bonnie checked us in. Jason was off in the woods somewhere enjoying his birthday. We then head back over the Seal Island Bridge to Fitzgerald's Restaurant which was Lillian's choice for her birthday dinner since we had already been to the Black Spoon this week. A super meal as usual! We worked our way back to camp and just relaxed for the evening. 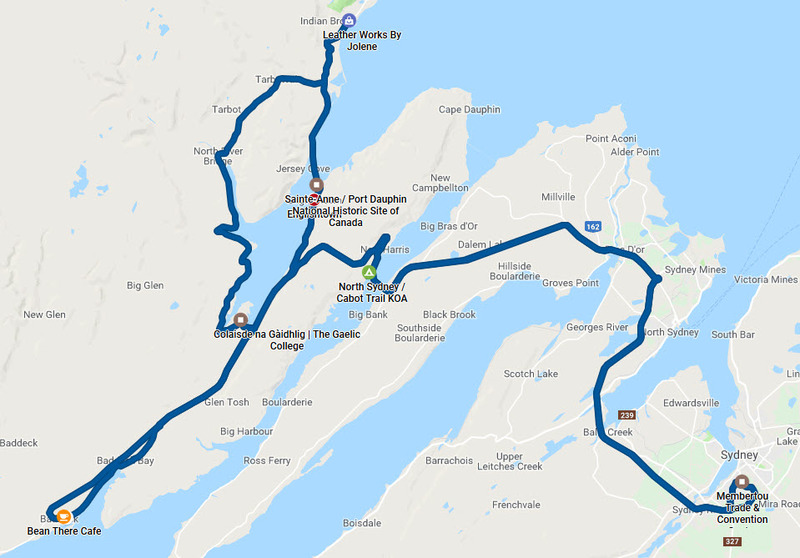 The concert today is Big Ceilidh at the Big Fiddle with performers Blazin' Fiddles, Còig, Fiona MacGillivray and Cape Breton University Pipe Band at Joan Harriss Cruise Pavilion a.k.a. "The Big Fiddle". Since we did not have too far to go we had a relaxing breakfast then Rod set about his Sunday ritual of grooming Weston and Lillian worked on a bunch of stuff around the van while "The Boys" were not under foot. After a good lunch we just relaxed until it was time to head to Sydney. As is our tradition when attending a concert at "The Big Fiddle" we headed down a bit early to see if we could sneak in to Governors Pub & Eatery for dinner. We were successful again this year and had a nice dinner. Lillian was especially pleased to find they had a turkey dinner special since we had not been able to book one of the community ones close to our concerts. After dinner we fed and walked Weston and chatted with some folks around the waterfront park where we were parked. As show time approached we walked over to the venue and found our seats. The show started with the Cape Breton University Pipe Band - a fairly large group of pipes and drums. It is mostly a young group that has been going since 2014. They were very good and show great promise for the future. The rest of the first half was dedicated to Còig, a great local group that came together in 2010 for a tour promoting Celtic Colours. We enjoyed them last year and the were equally great this year. The second half began with Fiona MacGillivray. In spite of her substantial background we found her set a bit disappointing. She was followed by Blazin’ Fiddles a really impressive group from Scotland who we saw on opening night. This was their last performance before having to head back "over the pond". They were really excellent! Of course there was the usual finale. After the concert we worked our way back to North Sydney / Cabot Trail KOA and just relaxed. The concert today is Craic’n Cabaret with performers Beòlach, Breabach, Pretty Archie and Socks in the Frying Pan at Membertou Trade and Convention Centre. Since again we did not have too far to go we had a relaxing breakfast of pancakes and sausages. We did a few things around the van then we decided to take a run down to Baddeck so Lillian could checkout this years Fibre Festival. We left around noon and headed back over Kelly's Mountain. On the way down the far side we noted that the Englishtown Ferry was back in operation after having been offline for maintenance all summer. As we passed the lower exit for the Cabot Trail we decided to pop over to Colaisde na Gàidhlig | The Gaelic College to check out their shop. Rod bought a CD and Lillian a gift item. We then resumed our trek to Baddeck. Once there Lillian checked out the Fibre Fstival which she found disappointing compared to last year. While we were in the area we picked up a lobster roll at at "bistro" on the wharf and took it back to the Roadtrek to share. We then popped by the Bean There Cafe where Lillian picked up a coffee while Rod took Weston for a stroll. We then decided that, since the ferry was running again, we would take a run up to Leather Works By Jolene just a bit up the Cabot Trail. On the way up we took the winding road past The Gaelic College and enjoy some scenery. We made our way up without incident and had a good look around. Lillain bought a couple of small items. We then headed back to camp by way of the Englishtown Ferry. When we got there we had to wait about 2 cycles which is not bad. While we waited we noticed that they turned back a class C motorhome on the other side. When we boarded we understood why. The ramps are a lot steeper than before so the extended rear of that motor home would have not been able to pass. We were OK though I went a LOT SLOWER than in the past. They never collected any fares which was a bonus even though we still have about 6 crossings on our old pass. Back at camp we made some dinner out of leftovers in the fridge and set out for concert around 6:00 PM. We found the venue without problem and made our way in. The room was set up caberet style with medium sized round tables. The cash bar was open throughout and there was no "intermission" besides 5 minute changeover breaks between acts. All the groups were good and entertaining but nothing of big note. We had a very plesant evening then rolled back to camp for about 11:30 PM. The concert today is Cow Bay Ceilidh with performers J.P. Cormier & Ray Legere, Brìghde Chaimbeul & Ross Ainslie and The Young'uns at Port Morien Legion / Community Centre. We awoke to cold, cloudy, drizzly weather. We spent most of the day at camp working at some personal activities (Lillian knitting, Rod editing pictures). Around 3 PM we finally got on the roll up to the Sobeys at North Sydney. We also did some scouting for a place that can change the oil on the Roadtrek. Each place we checked were unable but referred us on to some other possibility. The last option in Sydney River closed before we could get there so we moved on to Glace Bay where we had a nice dinner at Colettes Family Restaurant which was both excellent and inexpensive. From there we moved on to the show venue, fed and walked Weston the went in to see the show. The big surprise of the evening was The Young’uns from Teeside in North-East England who put on an awsome a cappella performance interspersed with hilarious banter. Wow! Of course it was no surprise that J. P. and Ray put on a performance that was everything you would expect from these 2 old pros. A dark drive back to camp, update this and crash. The concert today is Concert by the Canal with performers J.P. Cormier & Ray Legere, Brìghde Chaimbeul & Ross Ainslie and Ye Vagabonds at St. Peter’s Lions Hall. Does it look mostly like last night? That's because it is. It seems I rushed my programming a bunch. I picked several concerts that, on their own, were excellent but taken together were very repetitous. At least we had a change of scene. We set out about 11:00 after saying our season farewells to Bonnie and Jason. From there we set out for Iona to visit Jill's Chocolates and The Frolic'n Folk Pub & Grill all at The Iona Heights Inn. Lillian checked out the chocolates while the boys took a walk and some pictures. We then enjoyed a snack at the pub. We split their wonderful nachos (alone worth the trip) and Rod had a "cup" of mushroom soup they had on special. All was extraordinary. Before heading off we popped next door to the Highland Village Museum so Lillian could peek into the gift shop. It was not the day (cold and windy) to actually visit the museum which we had actually visited recently. It IS worth visiting but there is lot of outdoor walking so picking a nice day improves the experience. 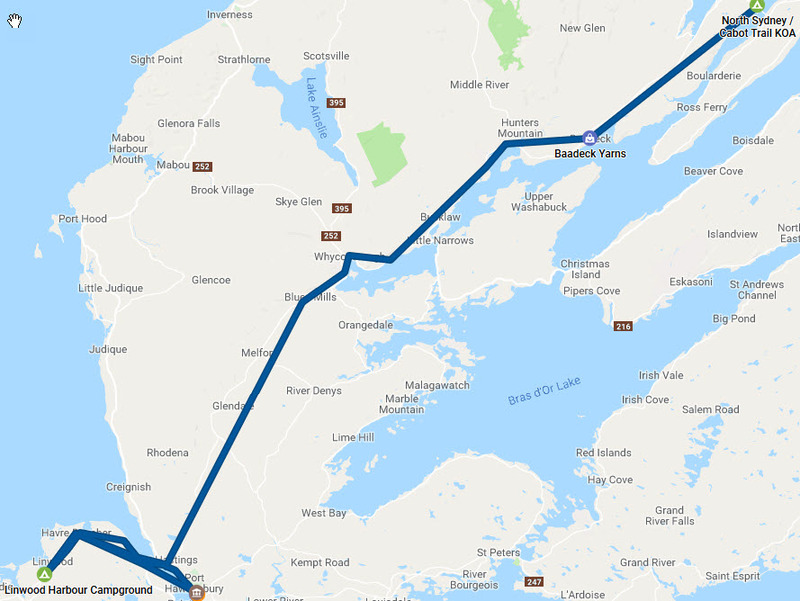 The distance to our camp for the night was about 33 KM as the seagull flies but shortest road path was more than 100 KM thanks to the mighty Bras d'Or Lake being in the way. We picked a route that took us by way of the Little Narrows Ferry. When we got there we found docked and being used to host a square dance. After a half-hour or so they finished up and we got across. Again they did not collect any fare. After stops for gas and $$ we got to Battery Provincial Park and checked in. After relaxing a bit we went to Louie's Cosy Corner for a light dinner. Another amazing NS local restaurant. Great food and great value. It was great regardless - these guys are both special talents. Again JP mentioned The Long River: A Tribute to Gordon Lightfoot a project he is doing with Symphony Nova Scotia inspired by JP's album of the same name that he released about 15 years ago. It should be quite the show. After the show we stopped at the Kitchen Rackets Jam Sessions at the Bras d’Or Lakes Inn which was just across from the park entrance. We spent a delightful couple of hours enjoying music and chatting with the locals before heading back to camp. The concert planned today is Guitar Summit with performers J.P. Cormier, Ray Legere, Eddy Poirier and Darren McMullen at Judique Community Centre. Normally this is one of the highlights of the week which sells out minutes after tickets go on sale, my sloppy scheduling has rendered it a bit repetitious after 2 great sessions with the headliners. 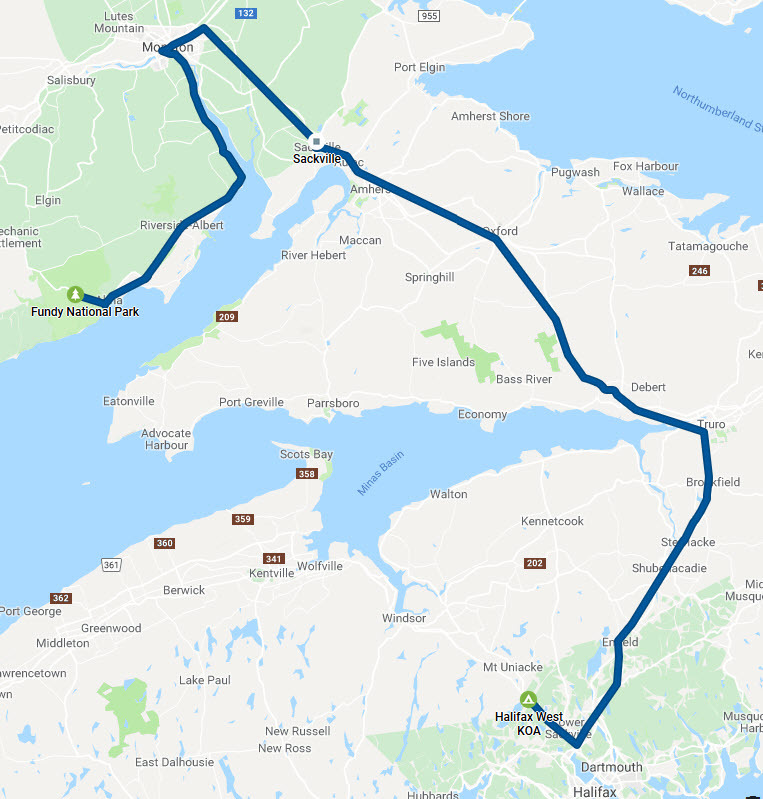 When this is combined by a miserable weather forecast and problems finding places to camp nearby, we decided to share our tickets and head back south. We left camp in the rain about 8:40 and dropped back to Louie's Cosy Corner for a bite of breakfast. It was still raining when we headed back through Port Hawksbury and on to Judique where we left our spare tickets at Celtic Music Interpretive Centre which was right next door to the venue for tonight's show. I asked them to find them a good home - perhaps later in the day when Ray was doing a Tunes & Talk session they could raise some money for the centre in return for the tickets. Our next stop was Mr. Lube at 565 Portland Street, Dartmouth where I was able to get the oil changed in the Roadtrek at a resonable price. From there we beat a path to Halifax West KOA in Upper Sackville, NS where we hid from the rain that has continued all day. 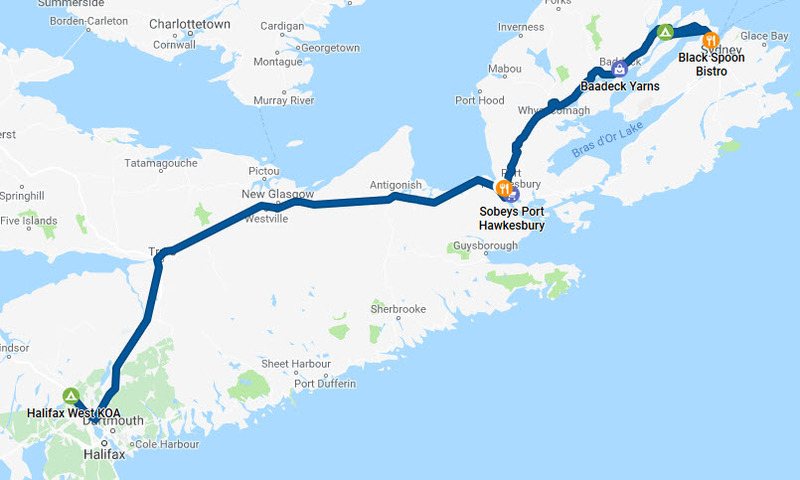 We have been in contact with Rod's brother near Lunenburg and have decided to make a visit before heading home so we could share a dinner with his partner's parents who are both celebrating birthdays this month. In her dad's case, it was his 90th on the 5th. As usual, we are taking a roundabout route. Also, as recently usual, it was raining! We set off about 10:00, made stop to dump "the ugly tanks" and get some gas, then hit the road for the Wolfville area. Our first stop was Just Us! Coffee & Tea House where we picked up some of their fresh-roasted coffee and a couple of other items. We then moved on to The Gaspereau Valley Fibres Farm Wool Shop where Rod picked up 2 dozen of their eggs (the last lot were amazing!) and Lillian a bit more wool. From there we went a couple of KM down the road to Gaspereau Vineyards where we picked up a couple more of their "Lucie Kuhlmann". 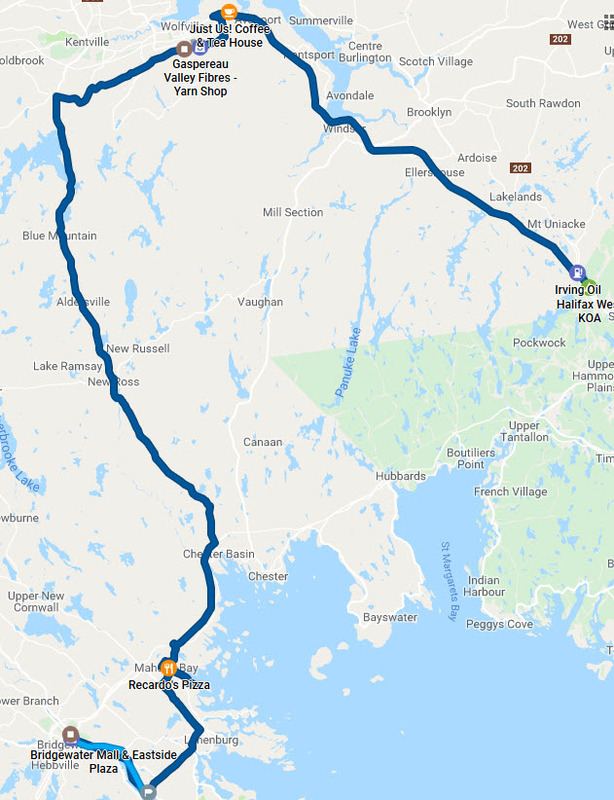 We then made our way through the rain to Lunenburg County where we stopped in Mahone Bay to visit Have a Yarn where Lillian picked up a couple on needles. We then went across the street to Ricardo’s Pizza and Donair where we split a really great small pizza. Now we finally head over to Rod's brother's place. D&C were there to greet us when we arrived about 2:45 PM. We settled in to their kitchen where we caught up the latest over some cups of coffee. For dinner the plan was to pick up some chinese food and bring it along with some "yeast-contaminated grape juice" to her parent's place which is exactly what we did. We had a great dinner and a great visit. I even took a few minutes to fix a little problem on her Mom's computer. Back to D&C's for a nightcap and some more visiting after which we headed out to our cozy beds. Worthy of note, the rain had finally stopped! After a good night's sleep Lillian put a pot of coffee on for the road and we generally packed up to go. Once we were ready we popped in to the house to help demolish a pot of their coffee and a light breakfast mostly of lovely homemade baked goods. After farewells we hit the road just before 9:00. While it was not bright and sunny, at least it was not raining. 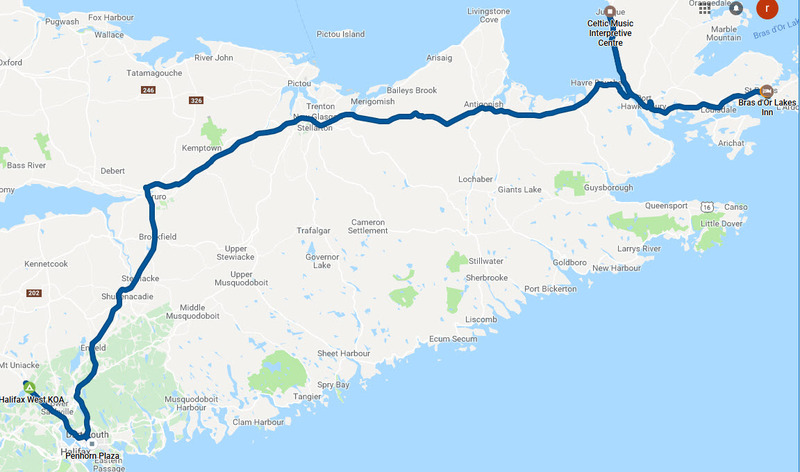 We made a stop around Truro for gas then cut our way over to Tatamagouche and on to Jost Vineyards where they were just gearing up for their Harvest Festival. As tempting as it was to settle in for an afternoon of wine and music, we stuck to our plan to purchase some product to take home and have a quick snack of lunch. That was the big excitement for the day. 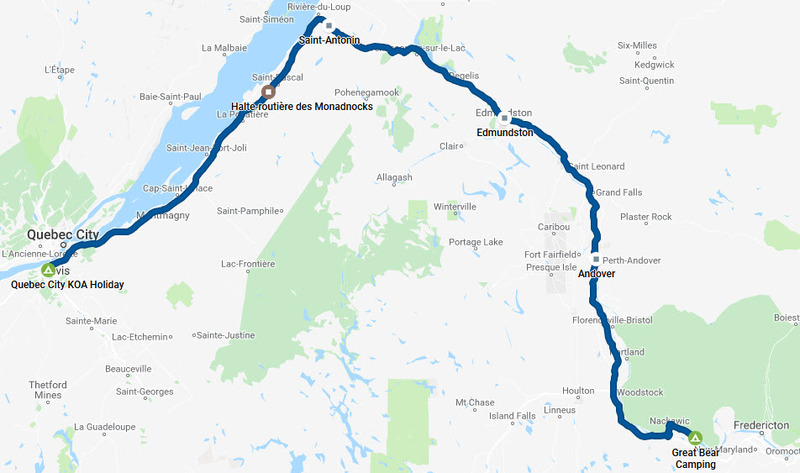 After that we just beat our way along the TransCanada to the Edmundston, NB area where we set up camp at Panoramic Camping. We arived a bit after 7 PM so it was a self-checkin situation. We set up then made a light meal in the galley, opened a bottle of NS wine and just relaxed. Worthy of note, it rained a bit over the day but never enough to put the wipers on. Lillian had a pot of coffee on early and we rustled up a snack from the galley. We were on the road by 8:45 AM ADT. A few minutes later we got our hour back as we entered EDT. Other than a couple fuel and bio breaks we kept steady progress to Boucherie Magnan Cuisine at Quartier DIX30 since we were passing by. We also stopped at Fromagerie des Nations a couple of doors down. While we were stopped we also made a light lunch in the galley. The final run home was an adventure through many the Montreal Island construction areas. Lucky it was Sunday. We backed into the driveway just before 3 PM EDT.